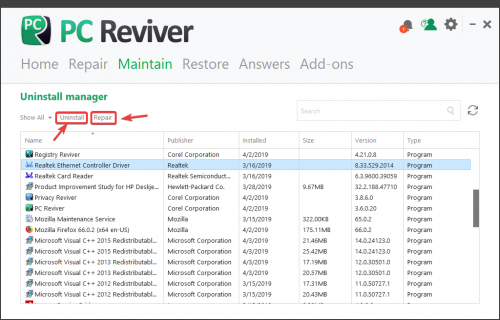 PC Reviver can help you uninstall and remove unnecessary program from your PC in a few simple clicks. 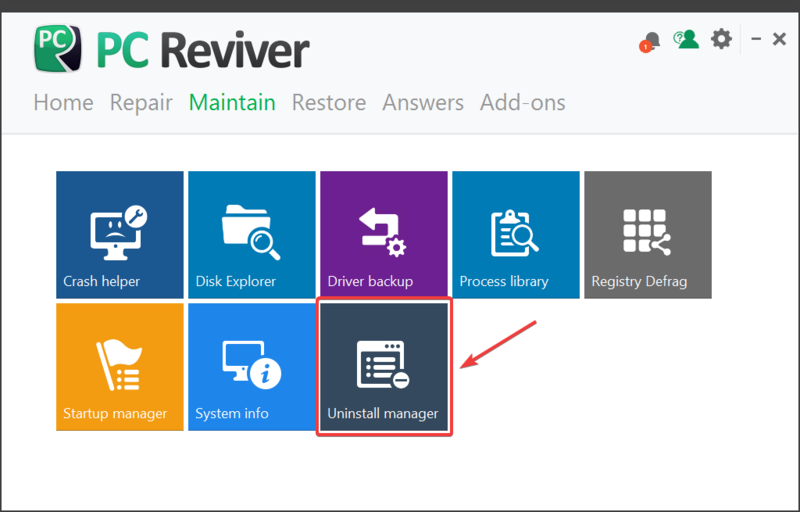 To get started, click on the Maintain tile from the Home screen, then click the Uninstall Manager tile. Once you are in the Uninstall Manager window, browse through the list of programs installed on your computer, locate the program(s) you wish to uninstall and click the Uninstall icon to start the uninstallation process. Follow the onscreen instructions to successfully uninstall the required program(s) from your PC. Note: You can also repair an installation by clicking on the Repair icon.